Weather can be unpredictable in the Georgetown and Austin, Texas areas, and wind damaged trees are one of the most common after effect. The amount of wind it takes to cause damage depends on the age and general condition of the tree, but with regular inspections and quality tree service, you’ll know if this is something you have to worry about. Until then, these tips can help you determine if you’re at risk. In Need of Storm Damage Tree Removal? Ask a Pro. If you live in the Georgetown or Austin areas of Texas, you know you’re in for a few powerful wind and thunderstorms each year. And with this weather comes wind damaged trees— and in the worst cases, the need for storm damage tree removal. 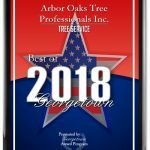 If you’re worried about an impending storm, or powerful winds have left your property a mess, you need a professional tree company you can trust. A certified arborist can help you prepare for the storm and increase the chances of your trees’ survival (through crown thinning or by equipping them in advance with bracing and cabling). But some weather conditions are just too overwhelming, and you may require quality tree service after the storm. 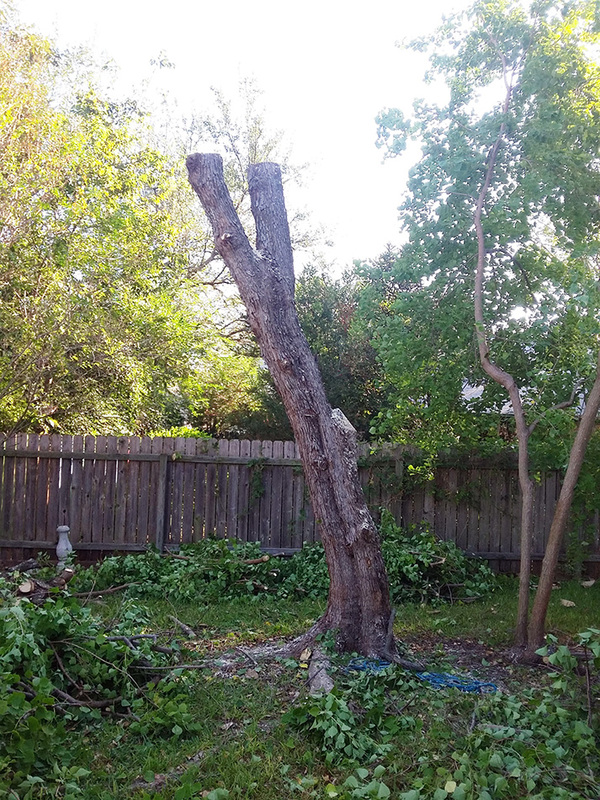 In the best cases, all you will need is a pro to help with tree branch removal, but if the damage is more extensive, a certified arborist will know what you need. Once they’ve analyzed your property, they can determine if the tree can be saved. If not, they’ll create a storm damage tree removal plan with a timeline and budget. Having pre-storm strategies in place with a quality tree service company is the best way to protect your trees. But having a professional to call for emergencies after the storm, or for debris cleanup and tree branch removal, is just as important. 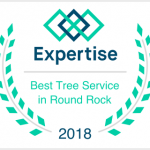 If you live in Austin or Georgetown Texas, be sure to find a tree care partner today.